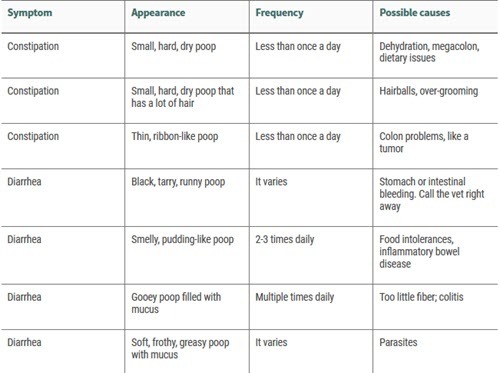 You can learn a lot about your cat’s health from his poop. 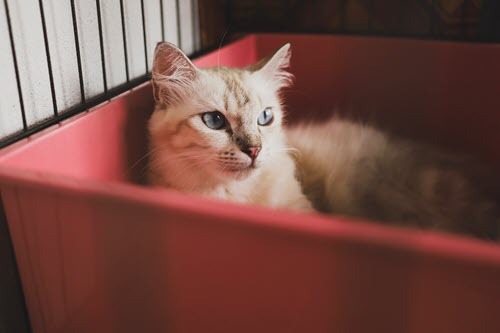 Whether you’ve just adopted your first kitten or you’ve shared your home with cats for years, watch for a few key signs when you scoop out the litter box. Diarrhea is not uncommon for cats, and there are many reasons why your cat might have it. Sometimes, it comes and goes quickly. Other times, it can last for days, weeks, or months, or come back on a regular basis. Diarrhea that lasts for 24 to 48 hours probably won’t cause a problem, but if it lasts longer, your cat can get dehydrated, which can be dangerous. If your cat has diarrhea that lasts more than a day or two, see your veterinarian to figure out the cause. Call your vet right away if the diarrhea is black or bloody, or if it happens along with fever, vomiting, sluggishness, or a loss of appetite. The treatment your cat will need depends on what’s causing his diarrhea. Some will need prescription medications, such as metronidazole or prednisolone, to control inflammation. Your vet may recommend a special diet if she thinks a food allergy or intolerance, IBD, or colitis is the problem. To prevent diarrhea, don’t give your cat dairy products like milk or yogurt — many cats can’t digest them properly. Also, if you switch the brand or type of food you give him, be sure to introduce it over several days by mixing it with smaller and smaller amounts of the old food until he’s eating only the new stuff. When a cat is constipated, he’ll strain a lot when he tries to poop or won’t be able to produce anything for the litter box. You don’t need to worry if it only happens sometimes. But if it’s more common for your pet, you should contact your vet. To ease your cat’s constipation, your vet may suggest that you give him more fiber, such as by adding canned pumpkin to his regular food. Or she might tell you to change to food that’s easier for your pet to digest. It also helps to make sure he gets more exercise and drinks more water so that waste will move through his system more readily. Call us at FCVC right away if you have questions about your feline and their pooping habits. Read our related articles about Cats and Hairballs and Cats and Shedding. There are many cat food options for a balanced diet available on our FCVC Online Pharmacy link. Let us know if you need help making a choice for your favorite felines diet.